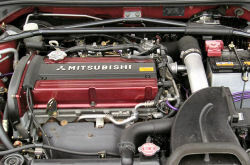 The following are some examples of the services we can provide at Performance Autoworks. Please note however, this list is not extensive, if you require work doing which does not fall under any of these categories then please get in touch. Due to the latest block exemption laws, Performance Autoworks can service and maintain your vehicle straight from the showroom to a higher standard than set by main dealers with no exclusion to your warranty. Using the very latest in diagnostic equipment we are able to locate and repair even the most troublesome of problems. Never forget the basics. Oil and filter changes, brake pads, headlamp bulbs etc. No matter how big or small, the same care and attention to detail is used for every job that Performance Autoworks undertake. Strip and re-build to standard manufacturers specifications, or full engine re-build for power and performance upgrades. We take the time to fully discuss your needs. Standard replacement to full race setups catered for including full suspension geometry setups. From air filters and intercoolers to exhausts and camshafts plus everything in between, we can upgrade your car to suit your needs. Long term "Development and Project Work" also undertaken. From occasional track use to fully stripped, purpose built track day vehicle. We can cater for all of your needs to the very highest standards. Please contact us to fully discuss your requirements.